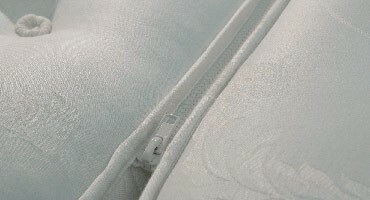 The Windsor 5ft King Size Zip and Link Matttress has a Medium rating (5/10). This Mattress represents excellent value for money whilst boasting luxurious features. This mattress gives generous deep fillings providing comfort and quality with added coil sprung technology. It is made up of traditional, Hypoallergenic fillings and covered in a luxurious White damask fabric, giving all round, sumptuous support for a restful night’s sleep.